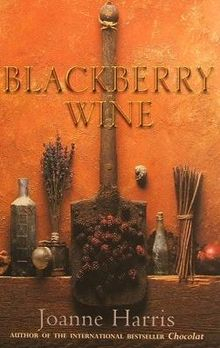 Blackberry Wine by Joanne Harris – This book surprised me. It was one I had grabbed rather noncommittally from the PC library almost two years ago. I recognized the author, she had also written Chocolat and Holy Fools, books I had never read, but that were on my ever-expanding list. This book took some warming up to; I found the main character to be less than likable at first. But as he takes his journey to find himself, his past, and his writing, he grows on you. Though what really shines are the side characters – Joe, Gilly, Rosa, and Marise. And, of course, the wines. The Bell Jar by Sylvia Plath – Once upon a time, a friend had me read The Catcher in the Rye by J.D. Salinger, but now I wish that I had been given Plath’s The Bell Jar instead. Everything I couldn’t relate to in Holden Caulfield’s character was easily available to me in Esther’s personality. 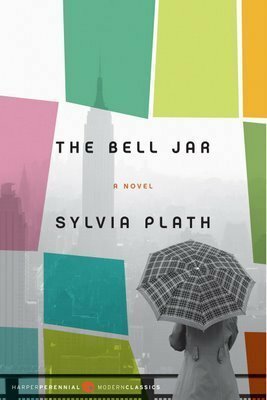 A reviewer once called The Bell Jar “the first feminine novel in a Salinger mood,” and perhaps that’s why I loved it so much more. 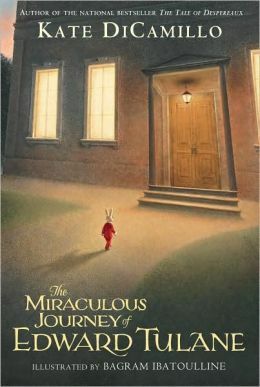 The Miraculous Journey of Edward Tulane by Kate DiCamillo – I almost didn’t read this book, but I found myself with some free time at school and a limited number of books I hadn’t read…and I had enjoyed DiCamillo’s other books. And I quickly discovered that The Miraculous Journey of Edward Tulane is by far my favourite of hers. So much so that I even teared up during the last few pages. The story follows a selfish porcelain rabbit who finds himself lost and discovers what it means to love along the way. Moments reminded me of The Velveteen Rabbit, another favourite of mine growing up. The story was charming and an unlikable character becomes someone to root for in the end. 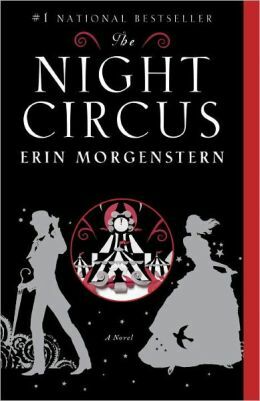 The Night Circus by Erin Morgenstern – Mesmerizing, enchanting, breathtaking, soothing…this book was a breath of fresh air and I only wish I had gotten around to reading it sooner. The challenge of a lifetime transforms into a love story and it all takes place in a land without color or daylight. I have never been a fan of the circus, but perhaps I shall have to reconsider. 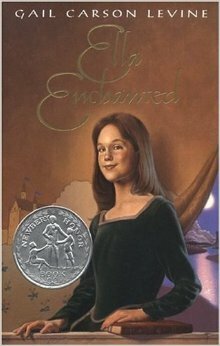 Ella Enchanted by Gail Carson Levine – Much in the same vein as Matilda, a misunderstood young girl, although this time under a spell. In the same way I felt Matilda’s injustices personally, I too felt compassion for Ella’s circumstances. But lest the reader get too upset reading this story, Levine fills the pages with enough hilarity to balance emotions. A truly exquisite example of a coming of age story. 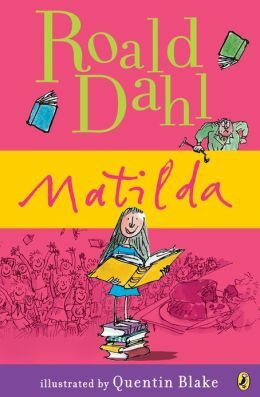 Matilda by Roald Dahl – Would you believe I hadn’t read this book before now? I’d like to blame my parents, but perhaps I was a bit precocious as a child. I mostly skipped reading middle grade fiction and YA and jumped almost immediately into the books contained in my parents’ library. So I bonded almost immediately with dear, little Matilda. Too intelligent for those around her – if only my mind had been as powerful as hers when I was growing up! It’s impossible to read this story and not find yourself cheering for her. 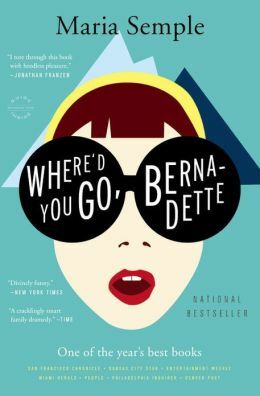 Where’d You Go, Bernadette by Maria Semple – I didn’t know much about this novel, it had been recommended and handed to me by a friend. But just a few pages in and I was fascinated by Bernadette. As the novel came to a close, I realized that very few times in my life had I fallen so completely in love with a character. Semple gave her life in a way that so few modern authors do. 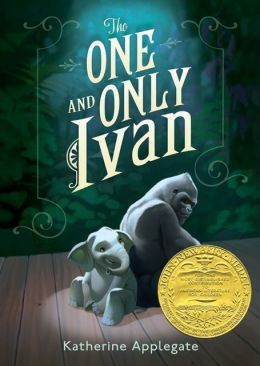 The One and Only Ivan by Katherine Applegate – This book was a true delight. And a surprise. It shouldn’t have been – it is after all a Newberry Medal winner, joining the ranks of Bridge to Terabithia, A Wrinkle in Time,and The Giver. Applegate’s characters are all endearing from a painting gorilla to the precocious baby elephant. Their story brightened my spirits for many days after. 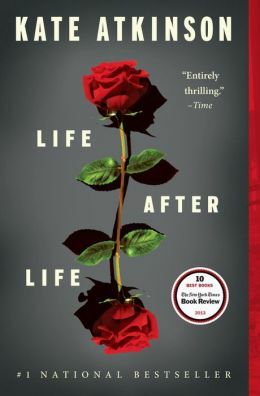 Life After Life by Kate Atkinson – Repetitive, but never tedious or tiresome. Atkinson writes the main character’s birth into nearly half of the chapters, but she always finds a way to find a new point of focus. A new character to draw out. And as Ursula Todd slowly learns of her power, she does something quite incredible – she goes after the most hated man in her time. Spiderman may have coined the phrase “With great power comes great responsibility,” but this novel truly embraces that theme and has a charming lead character to boot. 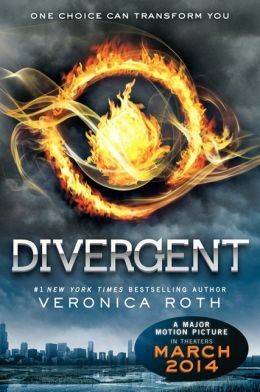 Divergent, Insurgent, and Allegiant by Veronica Roth – Yes, this is popular YA. And yes, it was recently turned into a film. But don’t let those two facts dissuade you from its power. In my search for all things dystopian, I frequently find myself reading YA trilogies and this has been my favourite by far. I enjoyed Suzanne Collins’ The Hunger Games, and Lauren Oliver’s Delerium series had a great deal of potential, but it was Divergent that really enthralled me. Perhaps it’s because of all the female leads, Tris Prior was the one whom I found the most respect for. Or maybe it’s because Roth did what so few YA authors have the courage to do – end the story nobly. 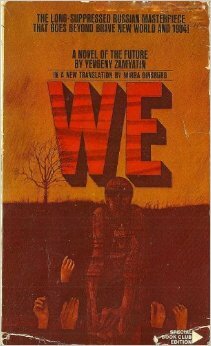 We by Yevgeny Zamyatin – I’m a passionate lover of all things dystopian, but yet I’ve never been fond of George Orwell’s 1984. Something about the ending just never rang true for me. So you can imagine my joy when I stumbled across We, the very story that was the inspiration for 1984. But this novel had an ending I was much happier to embrace. 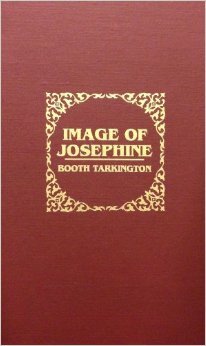 Image of Josephine by Booth Tarkington – This book gets a blurb because it’s a diamond in the rough. 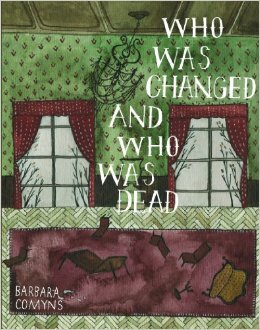 Booth Tarkington is a Pulitzer Prize winning author, and yet this book is never talked about. Tarktington paints a vivid description of Bailey Fount, a WWII survivor who was affected both physically and mentally during his tour. During his medical leave, he works in a museum run by his cousin, and it is through his shell-shocked eyes that we rediscover Josephine Oaklin – a character who had been a mystery since her childhood description. 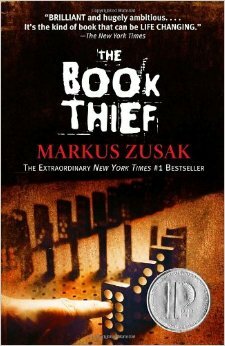 The Book Thief by Markus Zusak – I was immediately charmed by Zusak’s main character. She’s as voracious a reader as I consider myself to be. And throughout the tragedies she encounters through the course of the novel, the power literature shines brightly. As do the rest of Zusak’s characters. 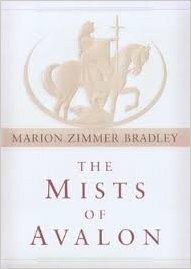 The Mists of Avalon by Marion Zimmer – Gender equality is of course an aspiration I hope the world continues to embrace…and sooner rather than later. Which is why I was so taken with this book. It has rewrtitten the story of King Arthur and his knights from the perspective of the women in their lives. And what they had to do to ensure their own survival as well as the survival of those they love. 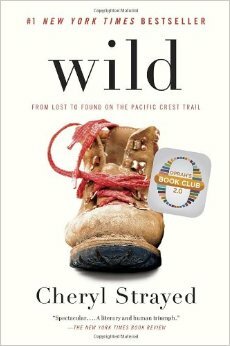 Wild: from lost to found on the Pacific Crest Trail by Cheryl Strayed – This book spoke to me as I began an adventure with the huge undertaking of trying to find myself from the path I had strayed from. And it was incredibly comforting to read about another’s journey, especially due to the clarity and honesty with which the author told her story. Some excellent books there. Some I’ve read and loved, some I’ve not tried yet. When you love books there’s really never enough hours in the day…am I right? If you love a bit of dystopia you could always try a trilogy that I really enjoyed and zipped through (in a good way)…’Wool’, ‘Shift’ and ‘Dust’ by Hugh Howey. Oh, and there are definitely some terrible books in there – i.e. books that shouldn’t be sent to Africa, but are all I could get my hands on. But I also had some really great reads during those two years : ) I’ll check out Hugh Howey’s stuff…you know me well, I love a good dystopian novel.